You’re in the midst of a journey through your senses, back to your true self; to a state of heady relaxation free from the worries of the world. Resting warm and comfortable between the softest, fluffiest towels, the two adept hands of your massage therapist knead away tension from your back and shoulders with the perfect firm pressure, lulling you into bliss. Soft, ambient light emanates from candles; meditative music plays, and subtle burning incense transports you further in. Sighing, you drift into a state of heavenly calm as the stress and knots melt away. Bodhana Wellness Centre was created by Chetana, a long-experienced counsellor, meditation teacher, and Reiki master; its integrity evident throughout the beautiful treatment experiences it provides. 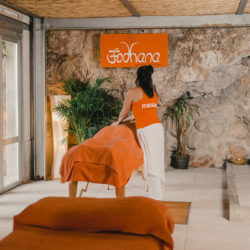 At Bodhana, you’ll never feel hurried, you don’t get entangled in product sales or obliged to chat during your powerfully therapeutic massage or facial. These havens at Puerto Portals and Illetas beach – the latter in a natural cave, set to the sound of the gently lapping sea – are wholly dedicated to peace, recuperation, and refuge – seven days a week. With their comfortable mobile massage tables, Bodhana’s loyal and long standing team also comes out to your home, yacht or hotel. They are flexible, spontaneous and also welcome last-minute call outs.This is the Bodhana way. They believe in what they do and have enjoyed doing it for almost 20 years now. 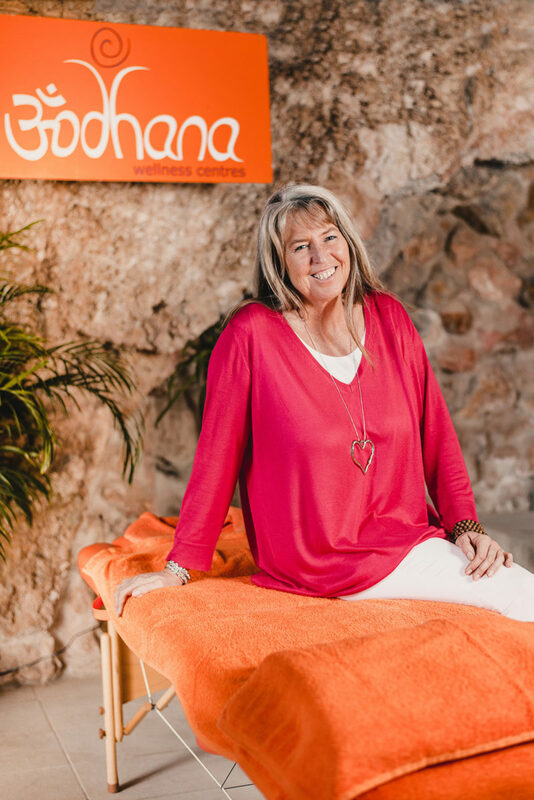 With her strong involvement in the island’s wellbeing movement and the Mallorca Meditation Festival, Chetana sows the seeds for people and projects to grow to their full potential, helping them find their way back to their natural state of wellbeing through therapeutic, holistic massage and treatments, meditation, yoga, workshops and events.Ask yourself: who am I, underneath all the stress and tension of daily life? Bodhana reconnects you to the joy that lies within; triggering the body’s innate healing mechanisms that protect you from the damaging effects of anxiety and burnout. As you arrive and remove your shoes at Bodhana, you remove yourself from the world for a time. That is Bodhana time.